Another seven days, another blog catching you up on all things BC Transportation from the last week. Hard to believe it’s September already, with summer almost in the rear view mirror and thoughts of winter, and what that entails, ramping up. (I didn’t forget autumn, we just have a lot of prep for those chilly months). But that’s in the future, right now there’s work happening on rapid transit in Coquitlam, some plans for Kettle Valley Trail and a trip down memory lane. 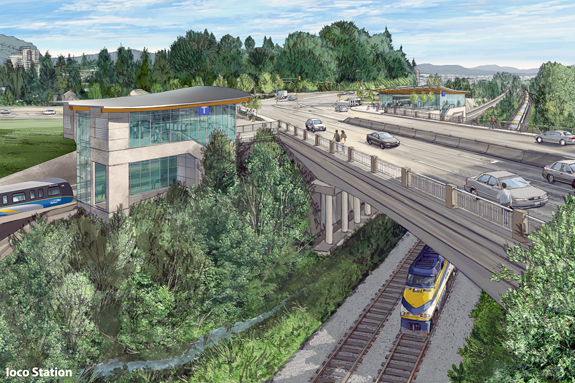 Work on the Evergreen Line steams ahead – another tender for work was released, laying the groundwork for major construction of the rapid transit project. What does that look like? Three light-industrial buildings in the 3000 block of Spring Street will be modified to accommodate construction of the Evergreen Line guide way along the railway tracks in Port Moody. This is scheduled to start after the contract is awarded this fall and is to be completed in early 2013. Plans for Kettle Valley Rail Trail to be Unveiled (drumroll) – Want to see the concept plan and get your questions answered around the proposed development and use of the Kettle Valley Trail? On Sept 18th, there will be an opportunity at the Naramata Centre, Columbia Hall. TranBC Trivia: The Kettle Valley Rail Trail includes lots of tunnels, trestles and bridges dating back to the Kettle Valley railway completed in 1915. 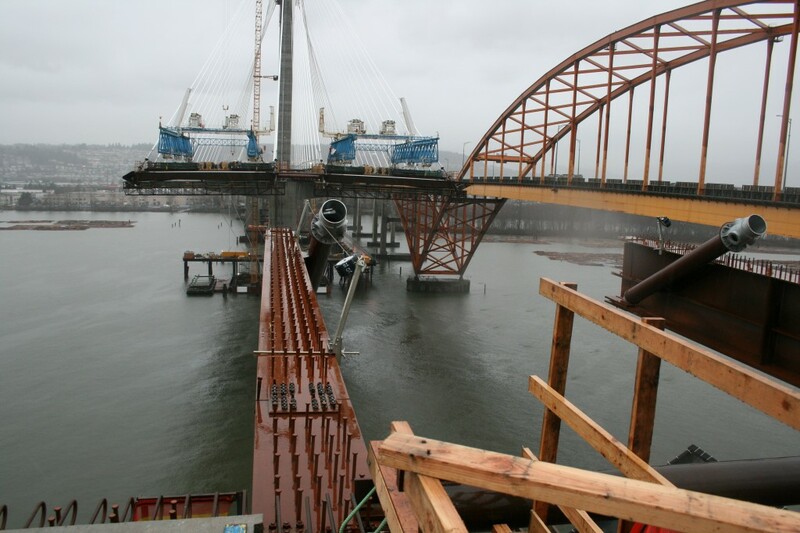 Construction on the Cape Horn Interchange now, means a faster new Port Mann Bridge soon – Good news! Some traffic will be driving the new bridge later this month but there’s still some major, and challenging, work to be done in Coquitlam. Crews will be working to complete several new connections between the Cape Horn Interchange and the Port Mann. By “several”, we mean 15 new ramps, structures and direct connections. Click the link to get up to date on the upcoming traffic pattern changes. The Millennium Line Launches a decade ago – what does Kelly Clarkson, the Detroit Red Wings and the Skytrain’s Millennium Line have in common? They all had a big year in 2002. Ten years ago this week, the transit line officially opened. Follow the link to hear more about the project’s history in Translink’s Buzzer Blog. National Trucking Week keeps on trucking – today wraps up a week celebrating the work of the trucking industry. As they saying goes, “if you bought it, a truck brought it” and to showcase those men and women moving our economy, we put together a couple of blogs – one on trucking and the economy and a guest post from the BC Trucking Assocation sharing a story of one man’s career. If there’s anything we missed or you’d like to learn more about, please connect with us on Twitter or Facebook. And, we should mention, if you like your news in a more “newspapery” (not a word) format, check out and subscribe to our Paper.li – a collection of info, video, stories and blogs from all the big players in BC Transportation, including BC Transit to BC Ferries, from Prince George Airport to Port Metro Vancouver.